Every person has their own idea of what they want from their safari experience. A safari is an incredible experience. Most people remember childhood story books featuring a 'classic' safari picture - so a wide open grassy savannah, dotted with zebra, giraffe, lions and elephants. To actually be able to bring this to life is something truly special, and a good safari will give you memories that will last a lifetime. Nothing can beat seeing a lion for the first time walking through the African bush, or spotting a leopard up a tree, or seeing a herd of elephant drinking at a waterhole. Choosing a safari, however, can be a mind-scrambling affair, with a jeep-load of options available across a wealth of wildlife destinations. Africa holds a world of safari possibilities, from never-ending savannah plains to sun-scorched deserts and zig-zagging deltas, so selecting the perfect one for you can be tricky terrain. We’ve been through it ourselves, so we know exactly how much head-scratching it can involve! The great news is that there’s a safari in Africa for everyone, no matter how deep your pockets or how tight your timeframe. Whether you’re after a week of watching elephants splash around a waterhole, or ticking off sightings of Africa’s famous Big Five, or even walking between safari camps and sleeping out under the African skies, you’ll find a safari that gets your pulse racing and your spirits soaring. That’s the magic of Africa. For many people, an African safari is a once-in-a-lifetime experience, making it all the more important to get it, à la Goldilocks, just right. If you’re taking your first steps towards booking your safari, you’ll need to know the differences between destinations and the various styles of safari, and also where you stand the best chance of seeing the particular animal that sums up what a safari means to you. So here’s a handy guide to set you off on the right foot. Hopefully, this will inch you a little closer towards the African safari that you’ve always imagined. For first-timers on safari, this could all sound a bit over-whelming, but that is why our experienced consultants are on hand to help and advise on the best safari for you. Either contact us via this website, or give us a call on +44 (0) 1932 428380 to discuss your safari holiday requirements in more detail. Undoubtedly, the classic ‘Big Five’ of the African bush - lion, elephant, leopard, rhino and buffalo - are high on most people’s bucket list of animals to see on their first safari. 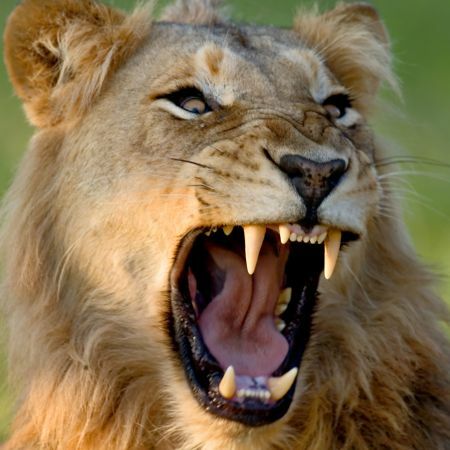 South Africa, Kenya and Tanzania are the most popular destinations for Big Five first timers. These safari hot-spots guarantee a safari that will stick with you forever. They are lands of roaming wildlife, swaying long grass where lion prowl and leopard hunt, and natural waterholes where elephant, zebra and giraffe gather at dusk at dawn. Setting off in an open-topped jeep at sunrise and sunset, a safari here will bring you close-up encounters with the Big Five and a newfound respect for the humbling hugeness of Africa. If you want to add even more of a ‘wow factor’ to your wildlife experience, you can head to Kenya or Tanzania during the annual Great Migration, when 1.5 million wildebeest, 200,000 zebras and 350,000 gazelles hurtle across the plains towards greener grazing land. If you want to steer away from the crowds, then possibly the Masai Mara, Ngorongoro Crater or even the Serengeti would not be right for you, as these, whilst iconic safari destinations, do get VERY busy and you can have up to 30+ vehicles at an individual animal sighting. The majority of the private reserves in South Africa have a strict ruling that only 2-3 vehicles are allowed at a sighting at any one time, which does obviously improve the quality of the wildlife viewing and makes it feel less intrusive for the animal too. The Okavango Delta in Botswana is one of Africa’s most exclusive safari destinations. Many lodges and camps are only accessible by light aircraft, and whether you are tracking wild dog on an open 4x4 game viewing vehicle, or exploring the waterways in a dug out canoe, you're unlikely to see many other visitors. Zambia is still an undiscovered safari gem, despite the prolific game found here. 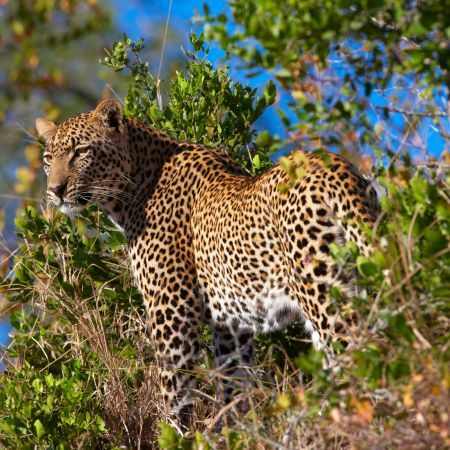 Finally, Tanzania’s Southern Safari Circuit is less visited than its more popular Northern Circuit cousin, so you can include a stunningly remote safari in Selous and Ruaha, or take in the isolated Katavi National Park. When planning an African safari, it’s all too easy to get overexcited about the animals and forget about what you actually NEED from your holiday. 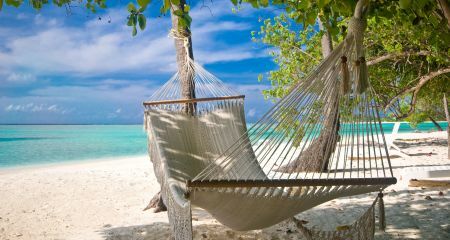 If you’ve been working hard in the run up to your trip, it’s really important to elbow some well-earned rest and relaxation into your plans. A safari is simply sensational, and we have no doubt that it will become a life experience that you’ll treasure forever, but after a few days you’ll be ready for a lie-in and a change of pace. Game drives set off before first light each morning, so following a string of spectacular sunrises on safari, tiredness can take begin to take its toll. The brilliant thing is that Africa is fringed by some of the most beautiful, tropical beaches in the world, so combining a safari with a few days stretched out the sunshine is a cinch. Blending a few days of safari in the Africa bush with some dedicated ‘bliss out’ time on the beach perfectly balances rip-roaring excitement with rest. Throw in a few sunset cocktails overlooking the Indian Ocean and you have the recipe for the holiday of a lifetime! If you’re all about independence, a self-drive safari might be right up your street, giving you the chance to scour the bushland for wildlife on your own four wheels. Several National Parks, including Kruger and Addo Elephant National Park in South Africa, or Etosha in northern Namibia, offer visitors the chance to drive themselves through their network of roads, discovering the animals along the way. It’s a wonderful experience, and there’s nothing like watching a herd of elephants cross the road just in front of you while you’re behind the wheel. A self-drive safari is also the perfect option for the safari goer who is on a tight budget. If seeing herds of elephants are 'your thing', then you really need to head for Chobe National Park in Botswana, which is home to an estimated 100,000 elephants - believed to be the highest concentration of elephants found anywhere in the world. The Amboseli National Park or Tsavo in Kenya will also meet your elephant dreams, as will Tarangire in Northern Tanzania, or even the Addo Elephant National Park in South Africa, as these Parks are also famed for their large elephant population. 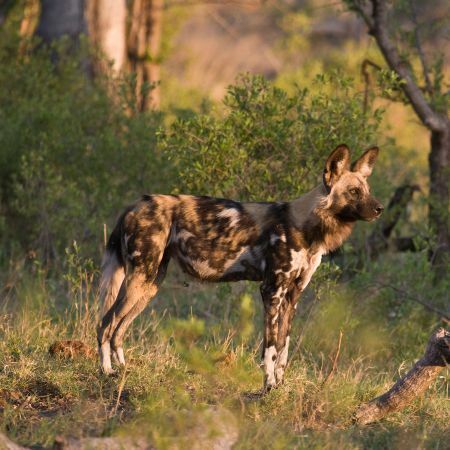 Selous National Park, in Southern Tanzania, has one of the highest populations of wild dog, but there is also an active population in the Kwando Concession in northern Botswana too, which is fast becoming THE place to see wild dog. If witnessing the phenomenal annual wildebeest migration across the African plains is high on your bucket list, especially if you want a ringside seat at the slightly bloodthirsty river crossings that have been made so famous by the many wildlife documentaries, then you need to have a safari itinerary that includes the Serengeti or the Masai Mara - but make sure you check where the Migration is, as you don't want to arrive in the Masai Mara only to find that the Migration has not yet reached the plains here yet! For huge herds of just zebra, or even giraffe, the vast Etosha Plains get our vote every time. It’s not all about the wildlife, though. The Victoria Falls are just a short hop from some superb safari destinations, so it makes sense if you are travelling half way around the world to try and include this Seventh Wonder as part of your itinerary. Zambia, Botswana and even South Africa team nicely with a 2-3 day side trip to the Falls, and this makes a wonderful start or end to any safari adventure. An escorted safari is a great option for social travellers and single travellers looking to cover real ground without taking on the responsibility of driving in Africa. 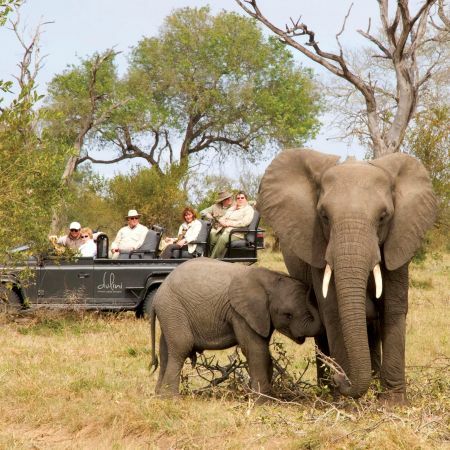 The safaris operate in small groups and depart on set dates, with fixed itineraries and lodges pre-booked en-route. They are especially popular in Kenya and Tanzania where self-driving holidays are scant. Without the need to navigate, you can simply sit back and watch Africa unfold before you, making for a superbly relaxing safari. Walking in the African bush, and living out your dream of being an intrepid safari explorer, will give you a totally different perspective of the safari experience compared to the normal view most people enjoy from a game vehicle. Learn more about the bush, and get to see and touch and smell it first hand. Look at the ground and spot the animal tracks made during the night. And yes, you will even get close to the wildlife on foot! Some of the best walking safari experiences can be enjoyed in Zambia, where you can even camp out in the middle of the bush at the end of a day’s walk, with nothing but a mosquito net and a blanket of stars above you. Anyone looking to take the ‘traditional’ out of their safari can try an unusual specialist experience and Africa has some quirky beauties on offer. If an open-topped jeep doesn’t do it for you, why not try a horseback safari, a hot air balloon safari, or even a gorilla trek? Alternatively, budding photographers can book specialist packages to learn how to take the perfect snapshots. Whatever your passion may be, we’re sure that Africa has something perfect up its sleeve.